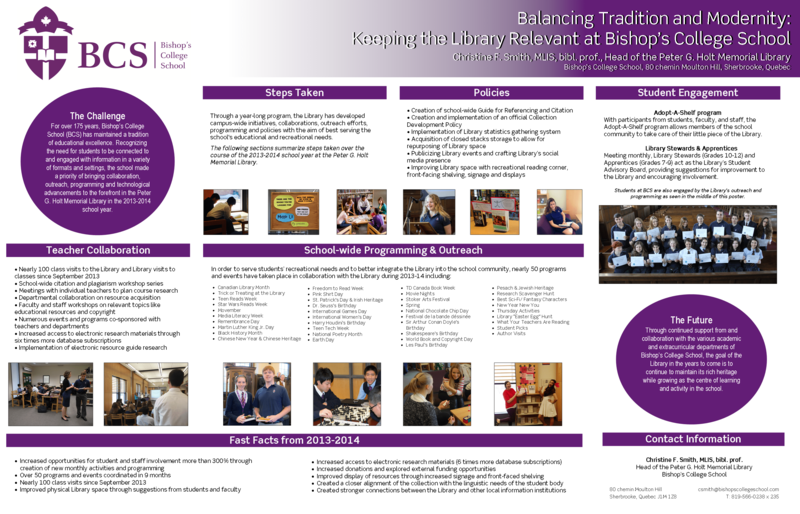 This poster highlights the collaboration tactics, policy developments and key initiatives implemented at the Peter G. Holt Memorial Library at Bishop’s College School. Through a year-long programme, the Library has developed campus-wide collaborations with the aim of best serving the school’s educational and recreational needs. The poster will evidence best practices for balancing an organization’s rich heritage while moving into the future.